Here is part two of the Up-Do vs. Down Do wedding hairstyles. Down Dos are exactly what some brides want to encompass on the day of their wedding. 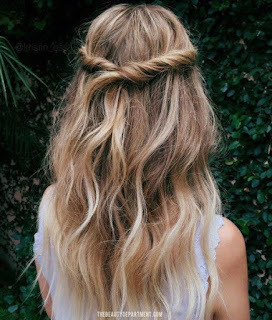 Long beautiful curls full of volume and life. 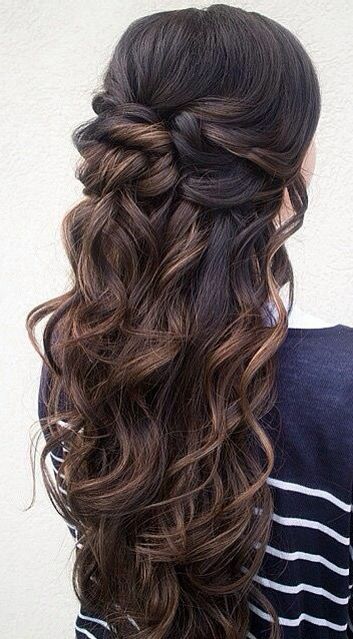 There are so many ways to make curls shine. We are going to start off with the softer curls. Beach waves if you must. These waves are perfect for any bohemian themed or beach wedding. They are little and elegant and can be accomplished with any hair type. Next we have the beautiful curls. All by themselves with no added pieces. These curls are stunning and are perfect when framing your face. Perfect for most dresses, but not ideal for a really hot day. Having your hair down can make it too hot during pictures and dancing. You can also put some pieces up. This can help in the warmer summer months to keep you cool. It makes for a beautiful hairstyle adding braids and twists. 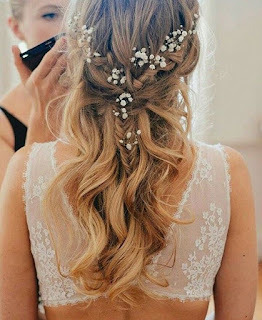 Another option is to add a few flowers throughout the curls. 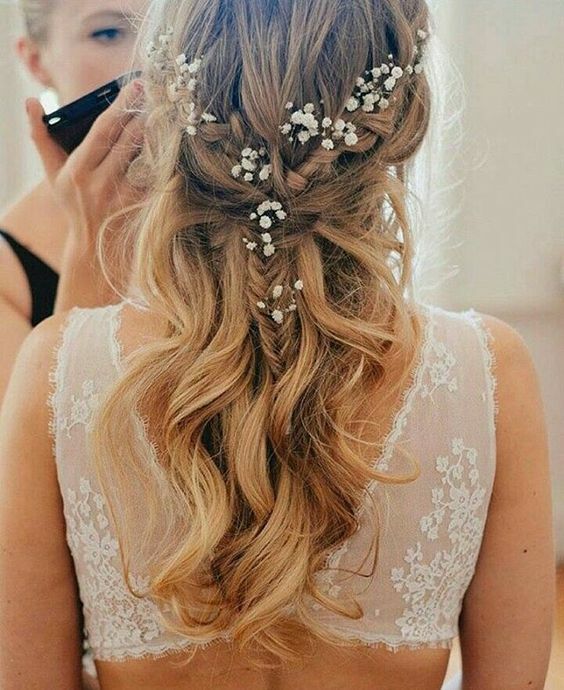 Having a mix of braids, curls and flowers can make your look unforgettable. The hairstyle you have on your wedding day is a big decision. This decision should be based on your dress, make up and even your personal style. Hopefully this helps makes that decision easier.